The least we can do is say thank you to veterans for their service. How to show gratitude for their sacrifice. As I sat in the waiting room of a Veterans Affairs hospital on Veterans Day 2014, a school teacher asked if I was a veteran. Her fifth-grade class had written thank-you notes to veterans, and she had taken the day to distribute them at the hospital. I felt more honored by what a fifth-grade student wrote in my card than by what I have or haven't heard from many adults more than twice her age. A year later, I'm still inspired by the unknown 10-year-old who signed the card "A 5th Grader" and decided to write three things we can all do to honor veterans this week. Happy Veterans Day! I thank you for everything you've done for our country. I hope you enjoy your time back with your family. 2. Engage in a conversation. A friend recently asked me if I missed the military and if so, what about it. I stopped for a second and told her that was the best question I had ever been asked about my service. Believe it or not, people still ask things like, "How many people did you kill," or say things about killing people being unjustifiable. The first normally makes me cringe, and the second I suggest you take up with your local congressman. So, please be more mindful of how your question will be received. Try to think about how it would be if it were you who served – deployed 6,000+ miles away after high school to protect our basic freedoms. I've found that open-ended questions like the one my friend asked work better, or something like, "How was it?" And if you ask, make sure you're engaged and listening when the person responds. Asking a question can open up a whole world, and if a veteran trusts you enough to share their experience, honor them by giving your full attention and maybe even a hug if they need it. 3. Invite yourself to take part in honoring a veteran. A former colleague asked me to visit a Masonic lodge for dinner last year during Veterans Day week, where I was honored with other veterans. I was thankful to be part of a dinner where good men talked about becoming better men and the differences between Veterans Day and Memorial Day. My girlfriend also honored me by taking me to a restaurant in Philadelphia named XIX Nineteen at the Hyatt Bellevue. I mention the restaurant because they wouldn't let us pick up the tab. I'm not saying to go out, find a veteran and pay for his dinner – but dig deep and take action consistent with your expression. 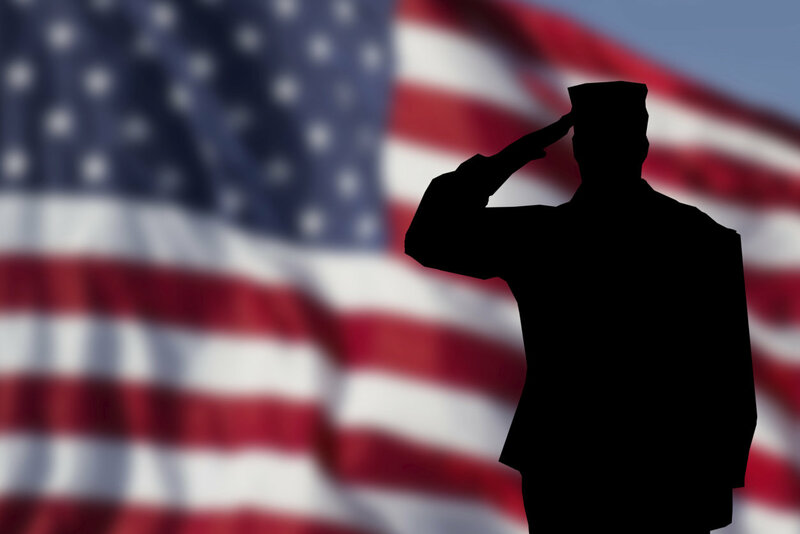 Veterans Day is significantly different than birthdays and religious holidays. If you're a business owner, this could mean giving veterans a paid day off that is not counted as a floating holiday. Lastly, please remember to thank these individuals year-round and be considerate of their feelings and experiences. We all go through struggles, but most veterans have volunteered for the ultimate sacrifice of what it means to be an American. Some have lost friends in the heat of battle, others lost limbs, their family members or even their mental health. The least we can do is thank them.